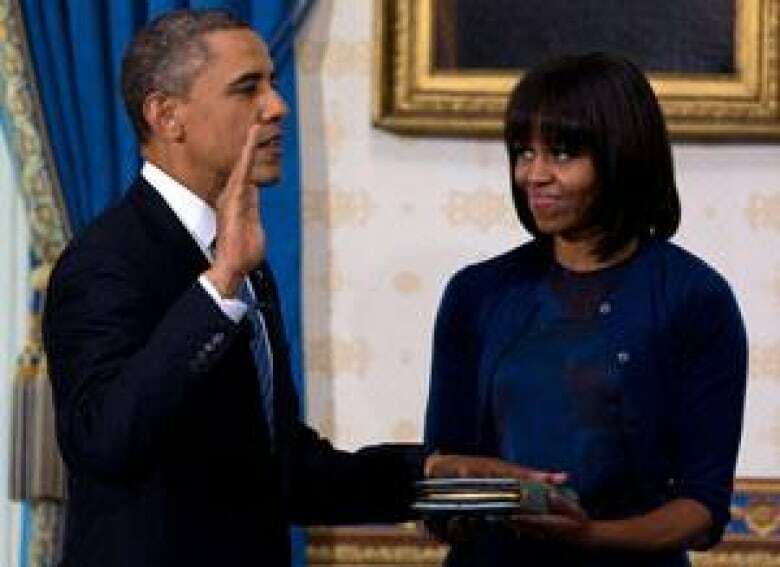 Will Michelle Obama get political in U.S. president's 2nd term? U.S. President Barack Obama's inaugural address last week signaled the arrival of a newly emboldened second-term president who will no longer shy away from some of the thorny issues he avoided in his first term. It's less clear whether the first lady, Michelle Obama, will undergo a similar transformation. U.S. President Barack Obama's inaugural address last week signaled the arrival of a newly emboldened second-term president who will no longer shy away from some of the thorny issues he avoided in his first term. It's less clear whether the first lady, Michelle Obama, will undergo a similar transformation. "She may feel some greater freedom moving forward, but I don't know that there are any indications that she'll do anything terribly substantively different," said Kathleen Dolan, a professor of political science at the University of Wisconsin, Milwaukee, who has written about women and gender stereotypes in American politics. 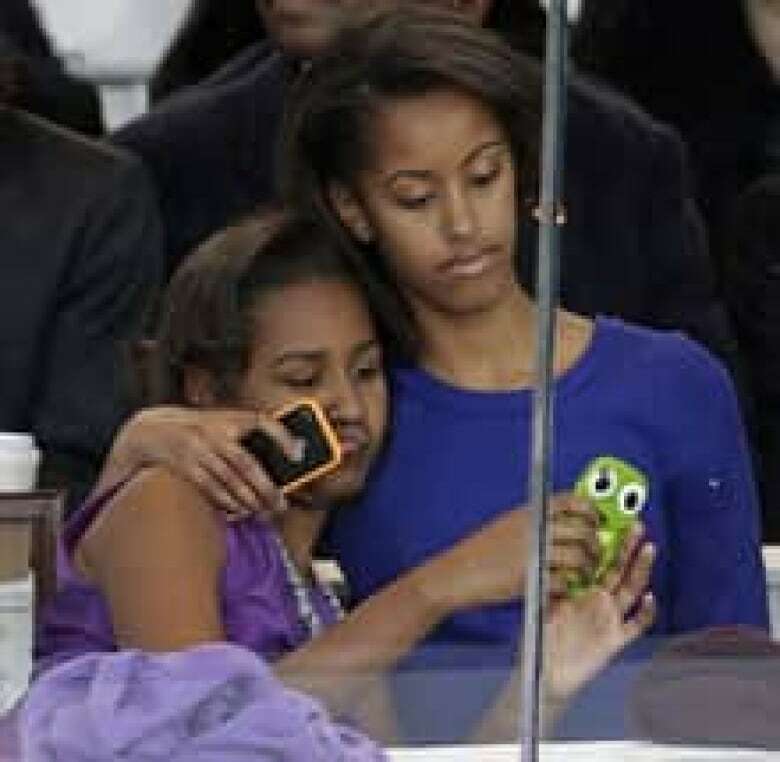 Thriving in her own career as a high-level hospital administrator in Chicago and raising two young children, Michelle Obama was not thrilled when Barack Obama decided to make the leap from the U.S. Senate to the White House in 2007. She stepped into the role of first lady reluctantly and, for the most part, has not let it define her, said Ruth B. Mandel, director of the Eagleton Institute of Politics at Rutgers University in New Jersey, who writes frequently about women's political history in the U.S.
"Michelle Obama is very much her own person," Mandel said. "One does not get the impression that she is putty willing to be shaped by the pressures or the people who might tell her how to be herself." Much has been made of Michelle Obama's wardrobe and fashion sense, and although these may seem like superficial, condescending concerns hyped up by a celebrity-obsessed media, to a certain extent they fit in with her image as a confident, highly educated woman who knows herself — inside and out, says Mandel. "She did not show up in Washington waiting to be dressed, waiting for somebody else to create her image," Mandel said. "She created her own image, her own distinctive style, and seems very comfortable with that and has made a very strong impression as someone who's self-defined and clear about who she is." She was equally assertive about finding a public role for herself after the Obamas moved into the White House. She settled on two main causes: advocating on behalf of military families and fighting childhood obesity with her Let's Move! campaign. 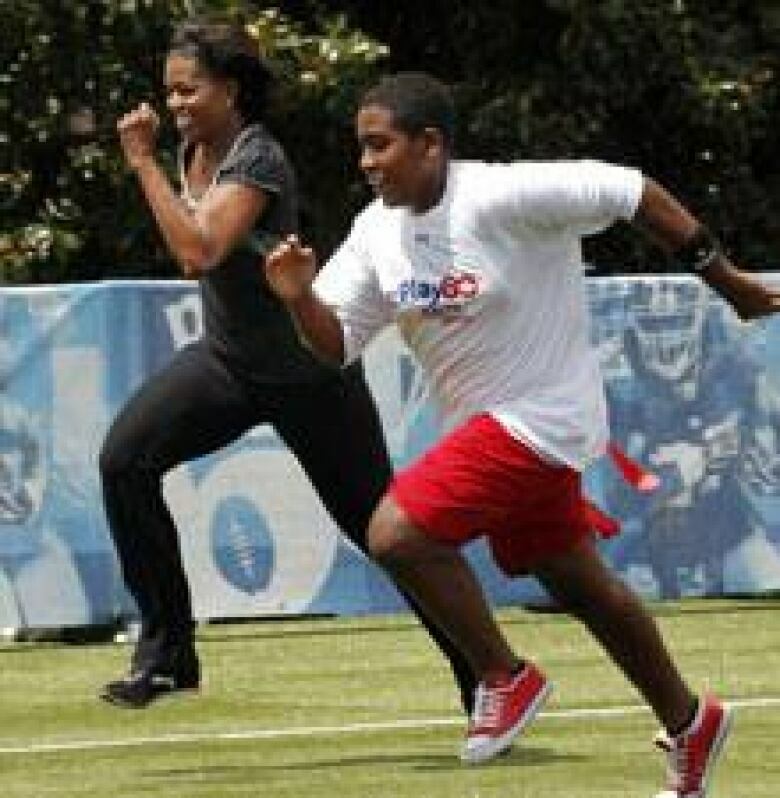 The nation's obesity epidemic encompasses a breadth of societal and economic ills that could potentially be a political minefield, but Michelle Obama has approached the issue apolitically. She has appealed primarily to parents, schools and children, and although she has at times engaged corporations in her campaign, she has avoided directly challenging the food industry in any substantive way beyond appealing for greater responsibility and voluntary compliance with stricter nutritional labelling guidelines. She has had some high-profile victories — for example, Walmart agreed to reduce salt and fat in some of its products and lower prices on healthy food and Congress passed new calorie limits on school lunches that she championed. 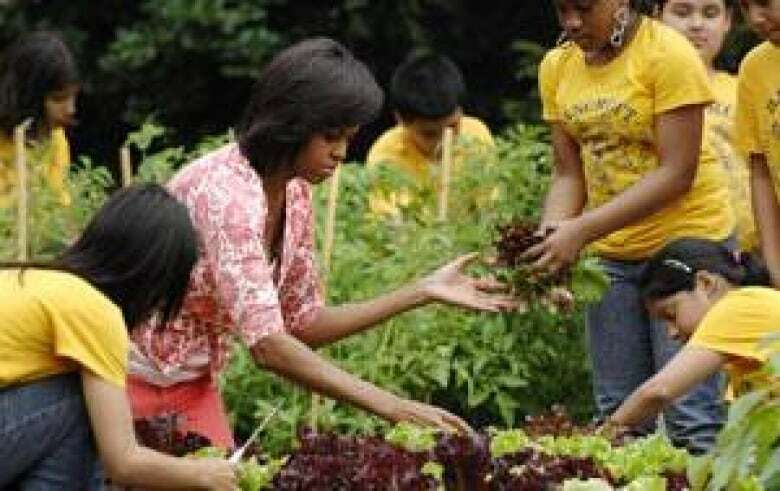 But Obama has generally kept the issue within the sphere of motherly concern, inviting children to tend the White House vegetable garden and speaking publicly about her own exercise regimen and her struggles to get her daughters to eat healthy. "She's used the first lady role and platform in a non-policy way to advocate for something that she sees as a healthy and useful change for her children and the children and families of the country," Mandel said. "From Day 1, she has made it clear that she doesn't want to be in the political arena or the policy arena and that she will find her own way to promote issues that are important and, in her case, very obviously extend from issues close to home — her own family out into the larger family." Her promotion of physical fitness and healthy eating has not been without controversy. Her school lunch initiative and fitness challenges have been mocked by conservative commentators like Sarah Palin and Rush Limbaugh and, in one widely ciruclated video, even by some of the very children the campaigns are targetting. The entire Let's Move! campaign has been criticized by some Republicans and libertarians as yet another intrusion of the nanny state into the lives of individuals. But the first lady has remained unapologetic and steadfast in promoting her causes, just as she has about prioritizing her family and maintaining a normal home life for her children, dubbing herself "mom in chief" in the days following the 2008 election. "She's been very clear and unashamed about her values and choices," Mandel said. Those choices sparked a debate early on in Barack Obama's first term about whether this Princeton- and Harvard-educated lawyer, who had a varied and distinguished career and for much of their life together was the higher-earning spouse in the Obama household, was deliberately playing down her professional credentials and ambitions. Some observers accused Michelle Obama of "momifying" herself in a way that squandered the rare opportunity she had to affect change as a highly educated black woman in the White House. "Michelle Obama will come to stand in more prominently than anyone could have imagined for the shortcomings of feminism," wrote Rebecca Traister in "The momification of Michelle Obama," a November 2008 article on the Salon website about the sacrifices Michelle Obama had made in helping her husband win the presidency. An Ivy League education and a series of high-paying jobs did not spare Michelle Obama from the dilemma facing most ambitious working women, whose chances at professional and economic success, writes Traister, are handicapped by the skewed apportioning of domestic responsibilities and their husband's own ambitions, which generally take precedence over their own. "She is in the unenviable yet deeply happy position of being a history-maker whose own balancing act allowed her husband the space to make his political career zip forward, his books sing, his daughters healthy and beautiful, and his campaign succeed," Traister wrote. "In having done all this, Michelle Obama wrought for herself a life (temporarily, at least) of playing second fiddle." Role model or failed feminist? Michelle Obama's reluctance to politicize the issues she has chosen to publicize is perhaps partly the result of pressure to remain the positive, popular face of her husband's administration. 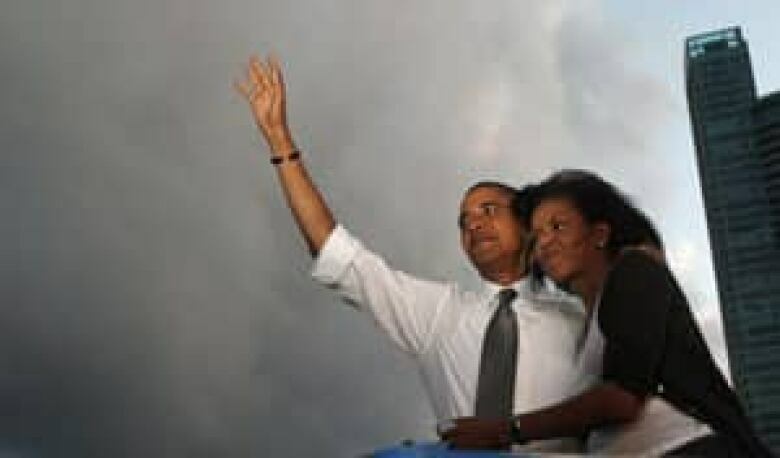 Her approval ratings have routinely exceeded those of Barack Obama, which is not unusual for first ladies — Laura Bush's were an average 18 points higher than those of George W. Bush, versus a nine per cent difference for the Obamas, according to an analysis by the Gallup polling firm. She is also likely still a little gun shy given that the one time that she was overtly political — on the campaign trail in February 2008, when she said "for the first time in my adult life, I am proud of my country" — she was pilloried and painted as a stereotypical "angry black woman." "That really generated so much negativity, and it took her a while to come back from that, and I think that made her exceptionally cautious as first lady," said Myra Gutin, a historian at Rider University and author of The President's Partner: The First Lady in the Twentieth Century as well as a biography of Barbara Bush. On the campaign trail in 2008, Michelle Obama spoke eloquently about the need for strong pay-equity and parental leave polices that would enable a better work-life balance for all Americans. In October 2008, she spoke with Geraldine Brooks of More magazine about women's tendency to take on an unreasonable share of domestic and family responsibilities while continuing to work full time in jobs that make few accommodations for family life. "What I found myself — and most of my friends — doing is, we just cope. We're taught that as women: Just handle it. Just adjust. We accommodate things that aren't healthy instead of turning around and going, 'This has got to change'," she said at the time, vowing to raise the profile of the issue once the Obamas were in the White House. But when she got to the White House, where those issues could actually be addressed, she grew relatively quiet on the subject. Neither has she been as outspoken about the social and political issues related to race in the U.S. as many had hoped she might be. "Both the Obamas had to tread very lightly and carefully on and around that subject [of race] for a host of reasons," said Barbara A. Perry, a senior fellow at the University of Virginia's Miller Center who has written a book about Jacqueline Kennedy's time in the White House. Still, she has made a point of mentoring young women, drawing on her experience with the Public Allies youth leadership program she ran in Chicago. She has reached out to young women of colour especially, bringing them to the White House and visiting schools in poor neighbourhoods not just at home but on trips abroad as well. "Even when she's not attempting to be a role model or not actively reaching out on issues of race or gender, she just does so by virtue of her being," said Perry. On a scale measuring the political engagement of presidential spouses, historians place Michelle Obama somewhere between Hillary Clinton, the wife of Bill Clinton, and Barbara and Laura Bush, the wives of George H. W. Bush and George W. Bush, respectively. While some may see Michelle Obama's healthy living campaign as a safe, uncontroversial issue comparable to Barbara and Laura Bush's promotion of literacy, Dolan and other historians see a fundamental difference between how the first ladies approached their respective causes. "While literacy is certainly an important issue, for Laura Bush, it flowed from her own work as a librarian, but also that it was a very safe, cozy thing — reading books to children at libraries," Dolan said. "I think what Michelle Obama is trying to do is she is trying to tackle a very real policy problem …and to try to really make a difference in people's lives and to try to shift our thinking. "She's starting the conversation on something that's pretty important. And I don't mean to suggest that literacy's not important, but I don't think it was the same. Laura Bush never focused on literacy to the point that she was talking about working in inner-city schools with kids who are below grade-level reading." Still, Michelle Obama is far from a Hillary Clinton, and is unlikely to become one in the second term just because her husband doesn't have to worry about getting re-elected. It was Hillary Clinton who most visibly shook up the traditional role of first lady. She was the first presidential spouse to have an office in the West Wing of the White House and was tasked with heading up Bill Clinton's ambitious — but ultimately unsuccessful — health care reform effort. She was also the first wife of a president who came from the Baby Boomer generation, whose female members were generally well educated and had careers of their own. 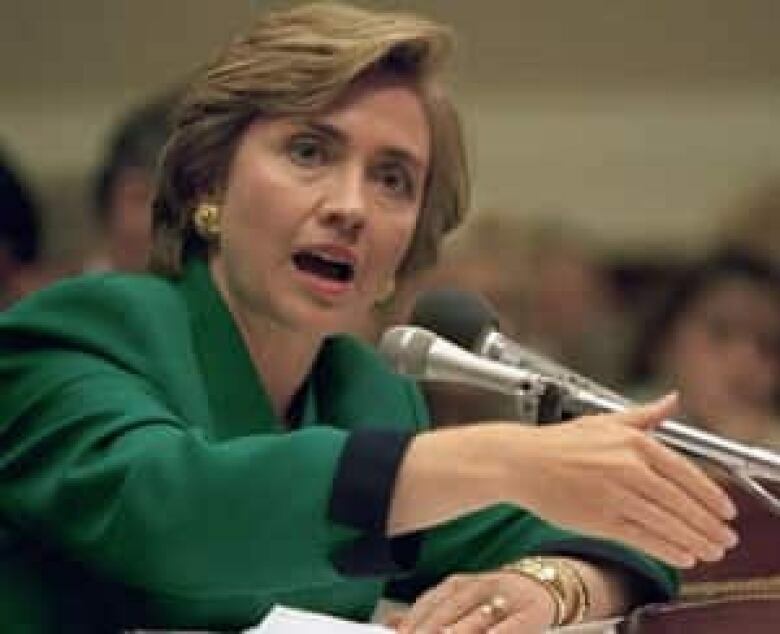 A lawyer with experience working on policy matters during her husband's tenure as governor of Arkansas, Hillary Clinton did not shy away from tackling major policy issues. Bill Clinton famously boasted about her qualifications on the campaign trail when he told voters they'd be getting "two for the price of one" if they elected him president. Still, "the acceptance of women in highly visible, influential and powerful public leadership roles was still something not that familiar," even in the 1990s when Bill Clinton was president, says Mandel, and Hillary Clinton's pro-active model of first ladyship was unpopular with the public. Her approval ratings were lower than those of her husband in his first term, and she had to pull back from politics during the second term and retreat to a more traditional first lady role — promoting women's rights around the world. All subsequent first ladies, including Michelle Obama, have had to deal with the blowback from that failed attempt to have the first lady take a more active role in the political affairs of the country, said Perry. "Americans are very wary of unelected, unaccountable people pulling the levers of power, and that is the description of the first lady," Perry said. "To have them either behind the scenes or even out in public, as in Mrs. Clinton's case, pulling the levers of power, that's very unpalatable to the American people." 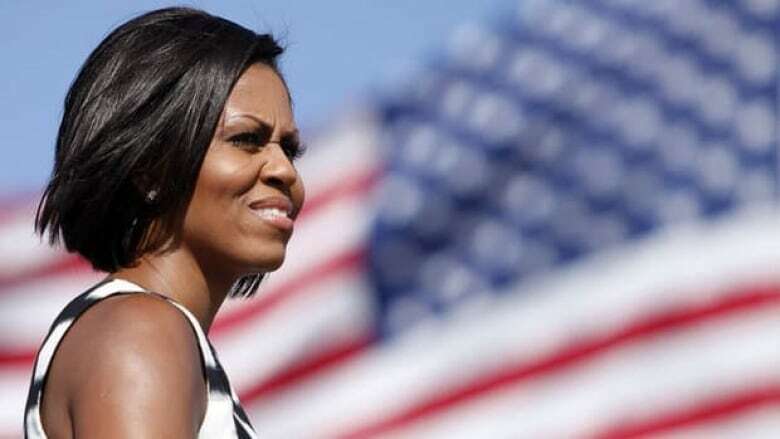 By all accounts, Michelle Obama doesn't have the political ambitions of a Hillary Clinton, who was the first presidential spouse to be elected to political office after leaving the White House (serving in the U.S. Senate for eight years), came close to winning the Democratic nomination for president and went on to be secretary of state in Barack Obama's administration. She's also no match for Eleanor Roosevelt, who took strong positions on contentious social and political issues and actively promoted civil, women's and labour rights during Franklin D. Roosevelt's 12 years as president. She met with coal miners, African Americans, women and other disenfranchised groups across the country, bringing their concerns to the president, and helped publicize her husband's New Deal policies, becoming the first first lady to hold a press conference and have a daily newspaper column. 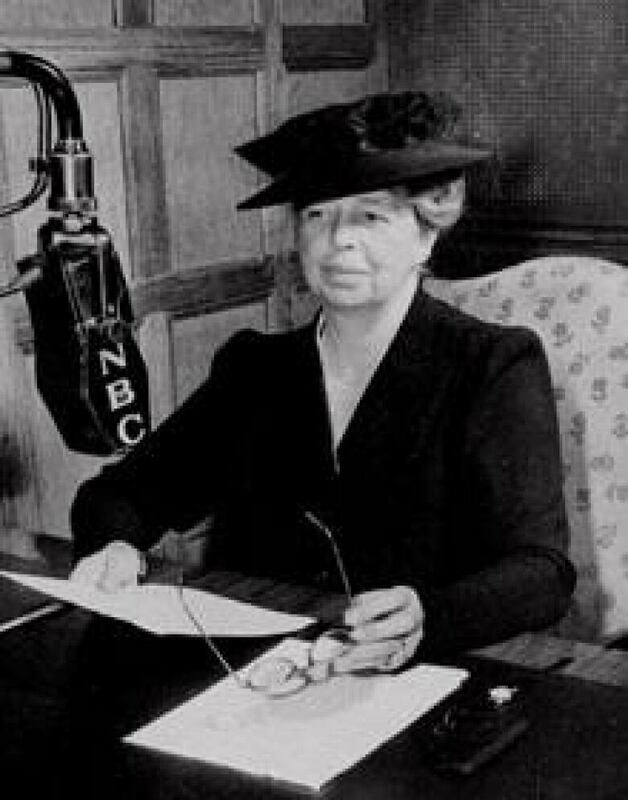 After the president's death in 1945, Eleanor Roosevelt was appointed to head the United Nations Commission on Human Rights. She was instrumental in drafting the Universal Declaration of Human Rights and continued to be a powerbroker within the Democratic Party throughout the 1950s. "In terms of a woman with an issue who fights for that issue in the political realm, I really think that starts with Eleanor Roosevelt, and she then becomes the paradigm for all first ladies after that," Perry said. It wasn't until Jacqueline Kennedy, however, that it became a regular occurrence for first ladies to have a pet project or two that they promoted publicly on their own, Perry said. For Kennedy, it was art and the historic preservation of the White House; Lady Bird Johnson made the beautification of parks and highways her cause; Betty Ford campaigned strongly for the equal rights amendment and women's rights, and was widely admired for eliminating some of the stigma around breast cancer; both Bush wives campaigned for literacy; and Nancy Regan was the face of the Just Say No campaign against drugs. "The first lady's position has evolved from a simple expectation of a hostess smiling at the side of her husband for state dinners and ceremonial occasions into a more visible public role," Mandel said. That doesn't mean, however, that a first lady's input was always welcome. Rosalynn Carter irked both sides of the political aisle by sitting in on Jimmy Carter's cabinet meetings; Nancy Reagan was resented for her hand in White House staffing decisions; Eleanor Roosevelt was ridiculed for endlessly bending her husband's ear about her social causes. First ladies have often shaped their role around their husband's perceived deficits, says Perry. Some, such as Dolley Madison, have had to compensate for deficits in personality, acting the cheery, pretty spouse to mitigate their husband's shyness or social awkwardness; others for physical or political handicaps — Eleanor Roosevelt became the public face of her husband after he contracted polio while Lady Bird Johnson helped ease the outrage in the South over Lyndon Johnson's passage of the Civil Rights Act. Michelle Obama has managed to combine several of these functions in a way that appeals to the American public, says Perry. She has been the traditional "adornment" at her husband's side, reminiscent of Jacqueline Kennedy, the intellectual equal, as Hillary Clinton was, and the sociable foil to the president's sometimes aloof personality, à la Dolley Madison. Gutin says that while Americans want their first lady to be doing more than "just sitting in the White House serving tea," they are divided on exactly what it is that a presidential spouse should be doing. "About half of the country, maybe a little bit less than half now, would really prefer someone who was a more ceremonial first lady, someone who was really seen and not heard," said Gutin. "And then there is a larger part of the population that understands the White House podium is completely effective, and they would like the president's wife — and maybe some day, it'll be a presidential spouse who is male — to go ahead and use it." 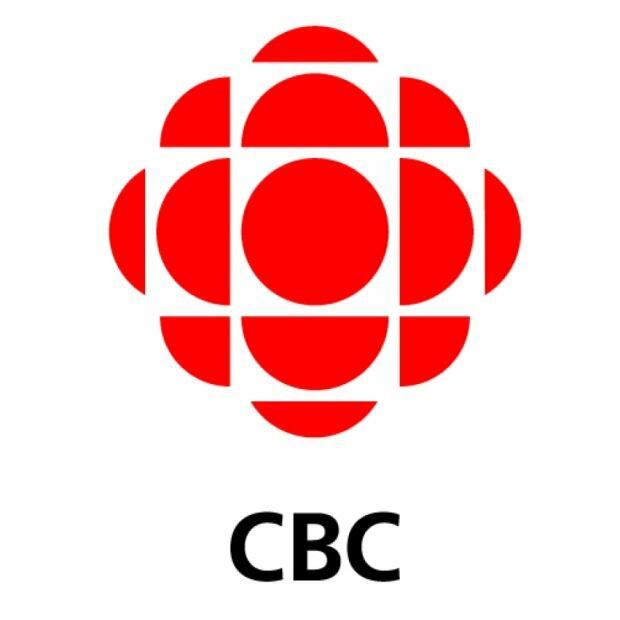 Kazi Stastna is a senior producer with CBCNews.ca. Previously she has worked as a reporter and editor in Montreal, Germany and Central Europe.